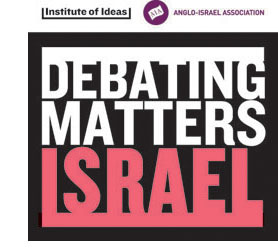 In partnership with the Anglo Israel Association the Institute of Ideas Debating Matters Competition will be showcasing its unique format and approach to schools’ debating in Israel. Following on from the success of Debating Matters India, a mixture of Jewish and Arab students will come together in May 2015 to debate a range of contemporary issues in the challenging Debating Matters format including, whether Megacities are bad for the developing world, if animal experimentation can ever be justified, if space exploration is a waste of time and money and whether social media is rejuvenating political protest. Supported by HM Ambassador, Matthew Gould, the British Embassy will host a launch reception for the event followed by our showcase held at Tel Aviv University’s Capsule Building at The Porter School of Environmental Studies. Judged by professionals from a wide range of professional backgrounds, experiences and areas of expertise, students will have the opportunity to debate key real-world issues in English. With a strong culture of informal debate, Israel’s tradition of lively public discussion offers a great foundation for Debating Matters’ engaging, conversational format. Debating Matters Israel will launch on Monday 11 May with a welcome reception at the British Ambassador’s residence in Tel Aviv, where we have been invited to bring together all those involved in the project.